Efficient and effective medical care from the comfort of your office vicinity, our experienced and dedicated doctors will ensure the best care and treatment plan for your condition be it an acute or chronic ailment. 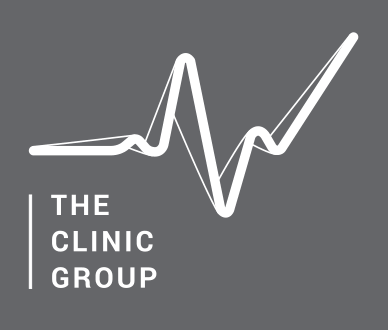 The Clinic Group is a corporate medical group with strategically located clinics within the CBD and satellite industrial areas. We cater to a specific type of customer – the PMETs, aka the office crowd. We are competent in meeting the needs of corporations with our technical know-how, processes and experience in providing corporate medical services. With that in mind, all our services can be specially catered to the company and tailor-made to meet their needs and preferences. Most companies have medical insurances and only visit the GP clinics that are part of their panel of clinics. The Clinic group is insurance neutral; thus we accept most insurances. customize the operational aspect of this arrangement in terms of method of identification and payment, as is for all our services. Health screening programs are recommended to be conducted annually. Companies usually provide employees with an annual budget or sponsors such programs. The Clinic Group offers a range of health screening programs is comprehensive and caters to all ages which we can offer corporate rates for. Our clinics are able to organize on-site and in-house exercise for companies. Having the experience and know-how allows us handle high volumes and execute the project seamlessly. Health screening programs are also customizable based on the Company’s needs, preferences, and budget. Some businesses require their employees overseas as part of their job. It is in the business’s interests to ensure that their employees whom they send overseas are safe in terms of their health. To do so, our clinics are pleased to extend corporate rates for travel vaccinations. Patients are also welcomed to consult our doctors for travel advice. Additionally, businesses also do extend medical benefits to employees, and these benefits can also include vaccinations. Our clinics is also able to organize on-site exercises for the office to be vaccinated from ailments such as the flu. Pre-employment examinations are part of the company’s hiring process. Our clinics are able to offer customized, tailor-made examinations, unique to the company and its’ requirements at competitive rates. Companies hiring foreign employees will need to ensure that their employees comply with the mandatory requirements. The Clinic understands the company’s’ needs and meets these needs by providing an efficient process at a reasonable price. Back aches and pains are common and experienced by most people. Physiotherapy helps to reduce such aches and teaches how to prevent and treat such ailments. People working from a desk all day are the underrated but most likely to experience back aches and other problems such as slip disc. The Clinic Group offers corporate rates to Companies to help encourage awareness and treatment of chronic pains.